has created a beautiful wall painting that decorates the 10 tabled room facing the inner garden displaying the seasonal vegetation. The 8 counter seats allow to see the chef at work displaying his skills and invite guests to indulge in conversation. 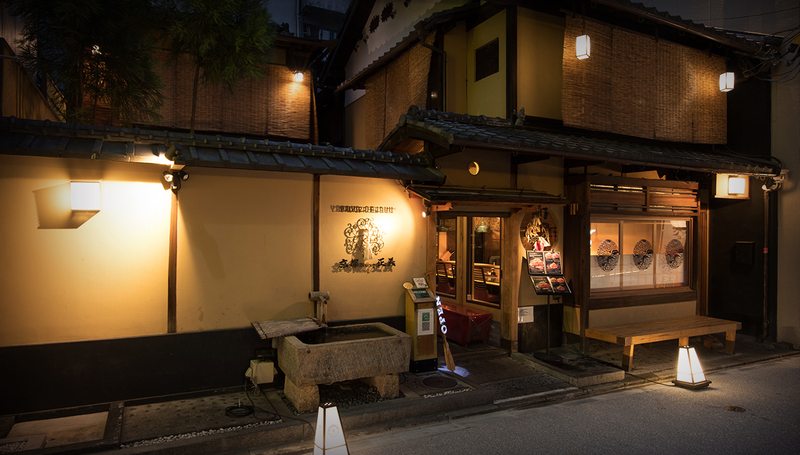 This long lived Japanese restaurant and famous hotel, allow us to display our best talents. 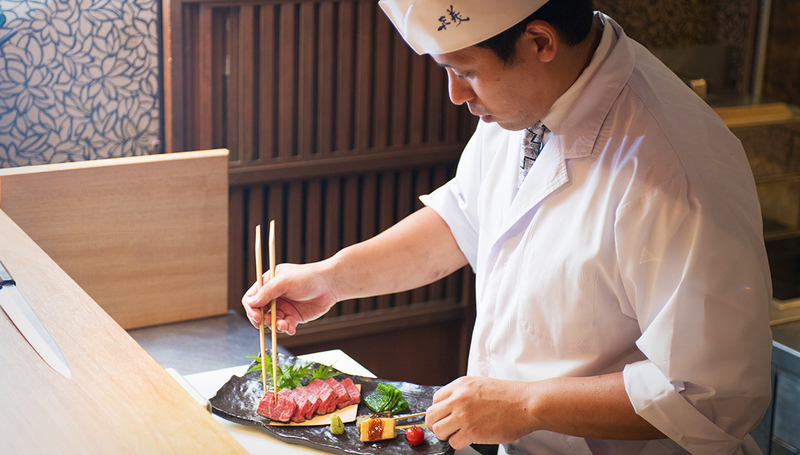 After 20 years of experience, our chef produces several dishes of the traditional Japanese cuisine history. From signature dishes like the“kaiseki”course and“tempura”in the Kyoto cuisine, to the traditional Kyoto sweets, all are able to be experienced here.